Learn to identify magnesium deficiency symptoms yourself, and find out what you can do to correct this nutrient depletion. The shift toward the modern Western diet has caused an increase in cases of magnesium deficiency. Most people meet only about 50 percent of the U.S. Recommended Dietary Allowance of magnesium (410 to 420 mg per day for men and 310 to 320 mg per day for women). This can lead to a variety of magnesium deficiency symptoms and, in severe cases, contribute to chronic disease. Magnesium may even play a role in cancer. Low magnesium has inflammatory effects, and magnesium has protective role in DNA synthesis and repair. This combination makes magnesium deficiency a possibly carcinogenic condition. 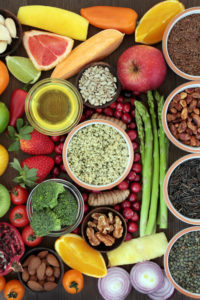 There are many foods that are naturally rich in magnesium, and eating more of these foods can help to increase your consumption of this vital nutrient. In fact, magnesium is generally better absorbed as a component in food than as an oral supplement. Cocoa, nuts, whole seeds, legumes, and some grains are good sources of magnesium. Green, leafy vegetables are the best option, as the green parts of plants are particularly rich in magnesium. However, you don’t absorb all the magnesium you ingest, so it can be difficult to eat enough to reach the recommended daily allowance. For most people, supplementation with about 300 mg of magnesium daily can help. Diarrhea and loose stools can be a problem for some with supplementation. If this occurs, lower the dose and increase it slowly. Keep in mind that magnesium metabolism is related to calcium intake. If you are deficient in calcium and wish to take a calcium supplement, it should be taken with magnesium. Magnesium deficiency can interfere with the body’s ability to use and store calcium. However, it is also important to not take too much calcium; magnesium is not absorbed well if there is too much calcium. A good rule of thumb is ingesting twice as much calcium as magnesium. Do you have any magnesium deficiency symptoms? 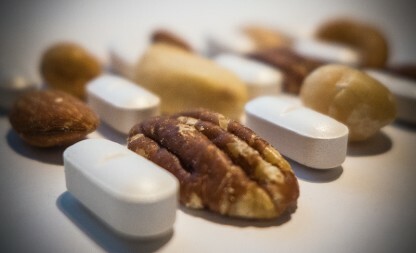 Do you take a magnesium supplement, or do you eat magnesium-rich foods to increase your levels? Share your thoughts in the comments section below. Am J Health Syst Pharm. 2004 Aug 1;61(15):1569-76. Rocz Panstw Zakl Hig. 2013;64(3):165-71.
adhd, alcohol, angina, brain, calcium, cancer, cardiovascular, cardiovascular problems, coffee, cramps, diabetes, diarrhea, diet, food, gastrointestinal, gastrointestinal diseases, good sources of magnesium, headaches, health, hypertension, inflammation, loose stools, low magnesium, magnesium, magnesium deficiency, magnesium deficiency symptoms, metabolism, muscle, muscle cramps, nuts, supplement, thyroid, vegetables, western diet. I have symptoms of deficiency of magnesium. My blood calcium is high. at one E.R. Visit i was given a transfusion of magnesium. I will discuss with my Dr. At my way visit and look at supplemental magnesium. Than you. Iris L.
I thought you might be interested in this article on https://universityhealthnews.com: Do You Have Magnesium Deficiency Symptoms?